Childhood is probably the purest and unshaped state of a human being. This condition brings with it an opportunity to nurture your child in a way that helps it to develop necessary skills to survive, sustain and achieve success in this world. It is scientifically proven that games and sports can be great tools in order to develop soft skills like emotional intelligence, logical thinking, decision making and many others. Employing erasable and reusable game board to practice skills which would help them build a good future for themselves can be a good way to go, get your kids into board games, like Dungeons and Dragons where they can better their problem solving and thinking skills, you can give them these metal dice sets to make the game even more tempting. No one can understand your child the way you can. You know the strengths and limitations of your child. 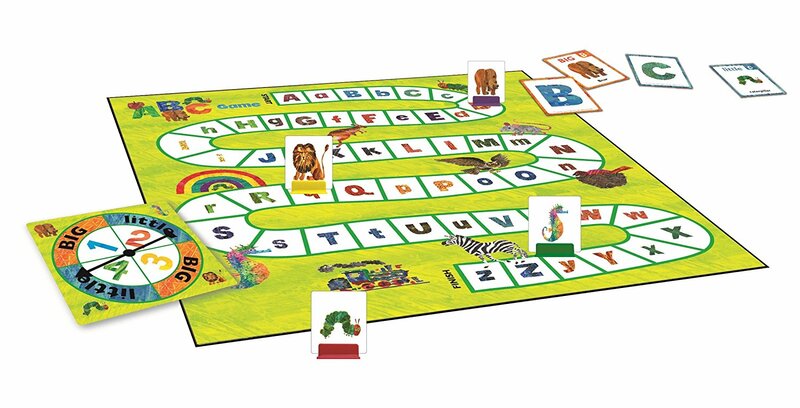 With an erasable game board, you can design a game of your own which would not only be fun and exciting but also would help your child to enhance his/her productivity. You can also do some research and design a game of your own which would especially help your child on developing particular skills. There is probably no limit to how many games you can design and play if you have erasable and reusable game board. Depending on the age of a child, with some easily available resources like markers, colored papers (or you can also color them! ), scissors and lamination sheet, you can design games. Caterpillar Game: This is a very good game for developing a child’s motor skills. Through this, a child learns about the different stages of metamorphosis. 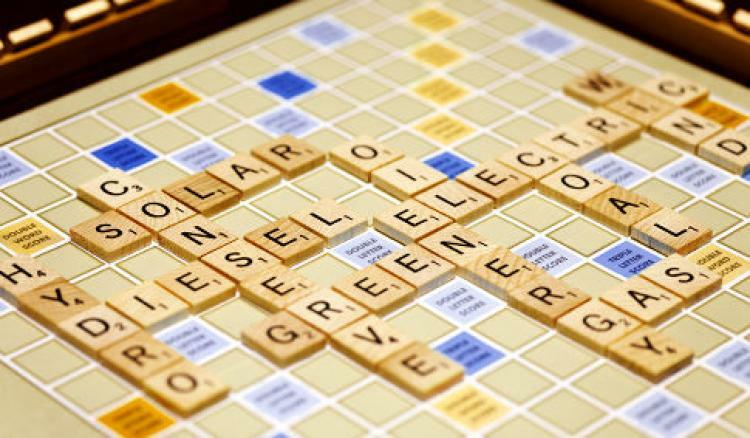 Scrabble: The classic word game can easily be made at home using a game board. You can also make your child pronounce each word as he constructs them. This will improve his diction skills and make his vocabulary strong. 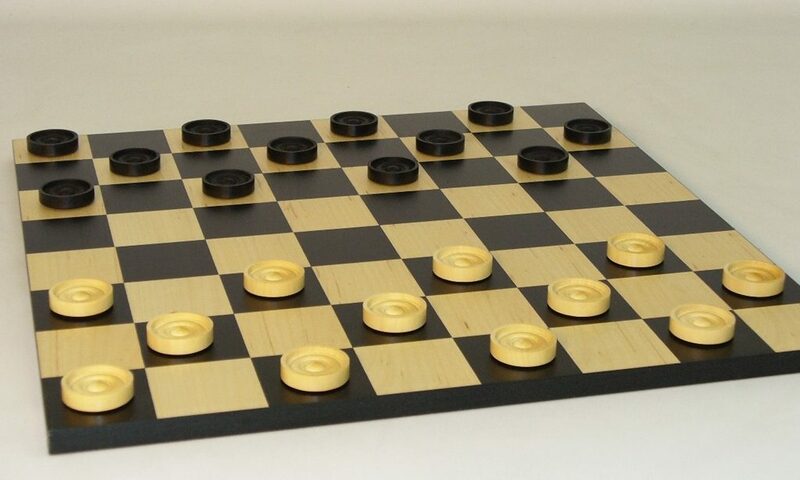 Checkers: Probably one of the most frequently played games; checkers helps to develop memory skills. 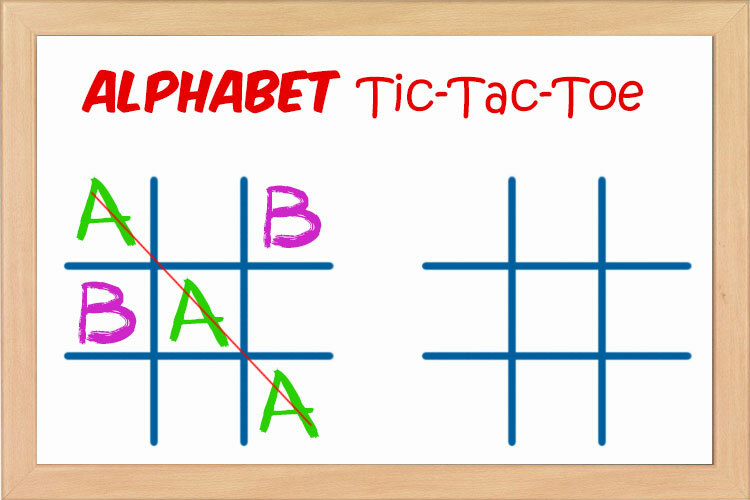 Alphabet Tic Tac Toe: A modified version of tic Tac toe where the kids choose their letters and play write them instead of xs and os. This is also some of the easy board games to make for school projects. Little kids can learn alphabets if made to play on a regular basis. 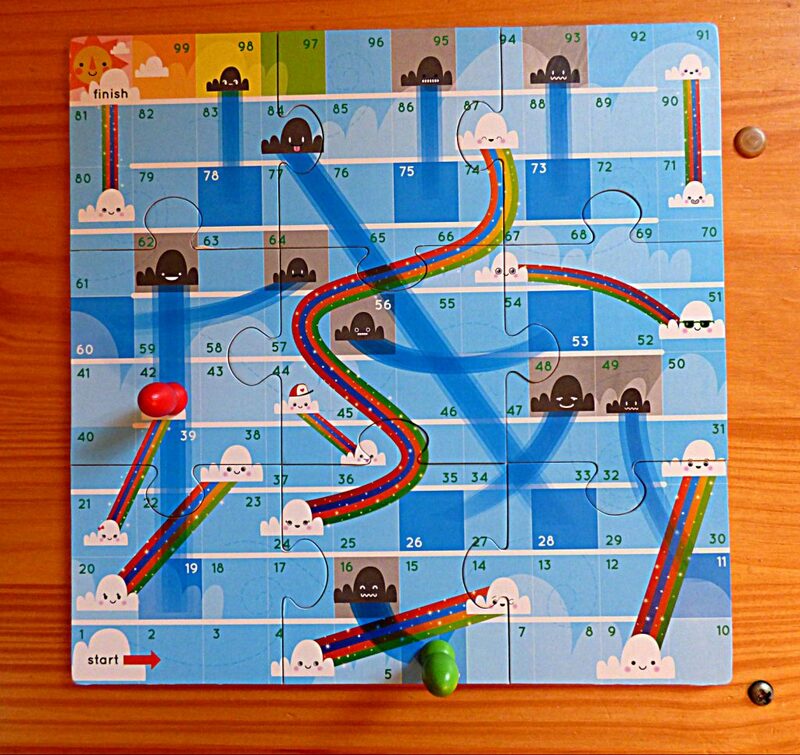 Rain and Rainbow Game: This game is a more colorful version of the classic snakes and ladders game. It is not only easy to make but also develops your kid’s counting and basic addition skills. Monster dice match: This can be quite a fun and educational game for your kids at preschool. The game is simple enough to make. You can either draw or download and print its image from the internet. This game requires a player to roll the numbered die and then find out the image of a dice on the board which has the same number of dots and places your tile there. A very good game for increasing a child’s counting and number recognition skills. You can also assign a small project to your kids of coming up with their own games and making them at home using home materials and a reusable game board. This would develop his skills in the strategic approach towards things. Moreover, this will also make your child more creative and develop his artistic abilities like coloring, handicrafts, etc. It is advisable to provide a deadline and present your kid with a small reward once he/she finishes the project. This will keep your kid motivated and indulge more in such activities. Also, it will help him/her understand the value of time. 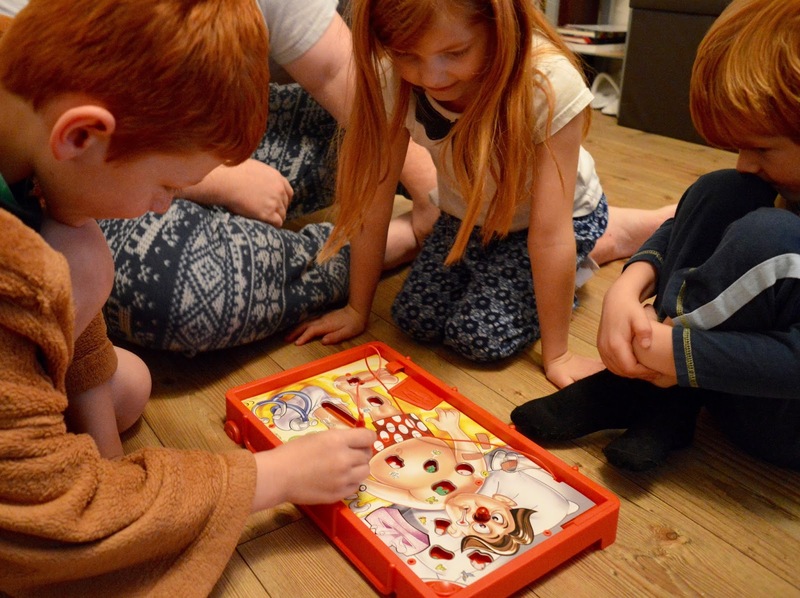 Game boards are effective in making your child practice skills and concepts taught in a way that keeps them engaged and have fun while learning subconsciously. Children like to do things that intrigue them. If you try to force something upon them, they will resist doing it. But if you present a project or an activity as a game, they will enjoy doing it. You can check out some erasable and reusable game board to practice skills that will certainly train your kid’s brain.